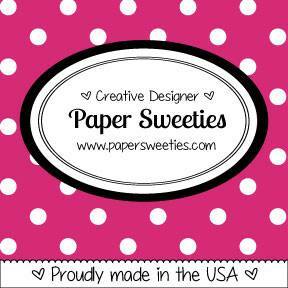 It's the last day of Paper Sweeties March Blast from the Past. Today the inspiration for my card was knowing Spring IS coming...even if the temps haven't yet realized it, my tulips think so! There's something so exciting about seeing the little green leaves peeking through the earth...it just lifts my spirits! For my card, I started by using some Brea Reese glitter watercolors to create the background. 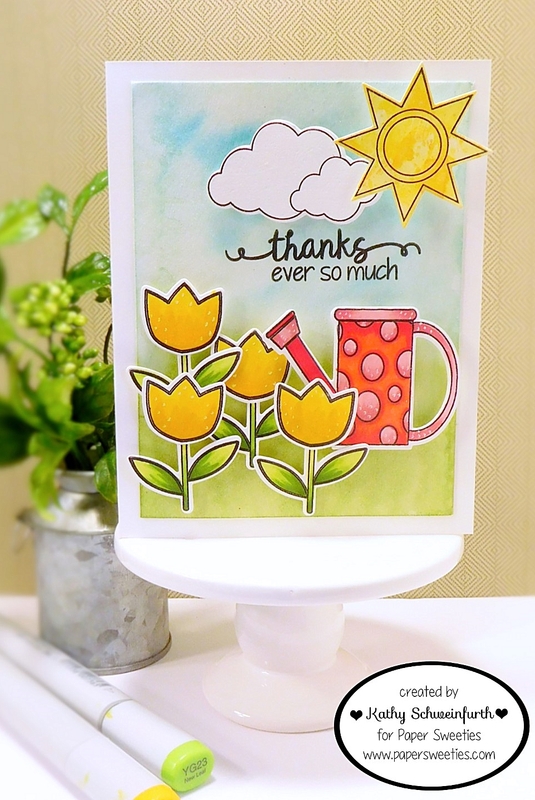 The bright, springy tulips are from the Hippity Hoppity Easter Wishes stamp set/dies and the watering can is from the Showering You With Love stamp set/dies. For the sun, from the Island Time stamp set/dies, I stamped and die cut the image from a distress oxide ink background I made. The clouds are from the Let's Go To The Beach stamp set/dies. The fun sentiment is from the Love You To Pieces stamp set. The Design Team has some super cute Blast from the Past favorites to share with you today -- check 'em out!